Home / music / naijabase / video / videos / DOWNLOAD AUDIO: [Video] Jimmy D Psalmist – Your Will Be Done | mp3 download. 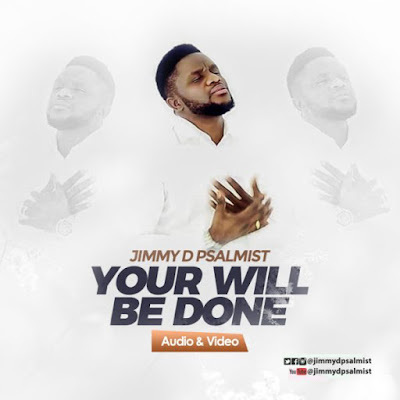 DOWNLOAD AUDIO: [Video] Jimmy D Psalmist – Your Will Be Done | mp3 download. Here comes another great and inspiring song from the of Jimmy D' Psalmist. ‘Mighty Man Of War’ crooner, Jimmy D’ Psalmist is out with a video of one of the tracks from his award-winning Mighty Man Of War album titled “Your Will Be Done”. Watch Video & Download Audio | listen | Share | and be blessed!